I noticed today that Groupon have a great offer with 59% off Graze.com Food Boxes! These snacking boxes are great for those of us that can't wait until lunchtime and like to nibble. For £5 you can get four personalised of these snack boxes each containing four punnets of healthy nibbles delivered fresh to your door. Graze was created and founded by seven friends and avid foodies, who wanted a solution to satisfy their office tummy rumbles. The company offers over 100 different natural foods, providing a nutritionally balanced box of nibbles. The aim is to boost energy and feel-goodness to their customers and the team strive for an earth-friendly approach using recyclable packaging and individual portion sizes to minimize waste. The treats range from rolled oat flapjacks to juicy dried fruit and from deli-topped focaccia bread to crunchy pistachios. 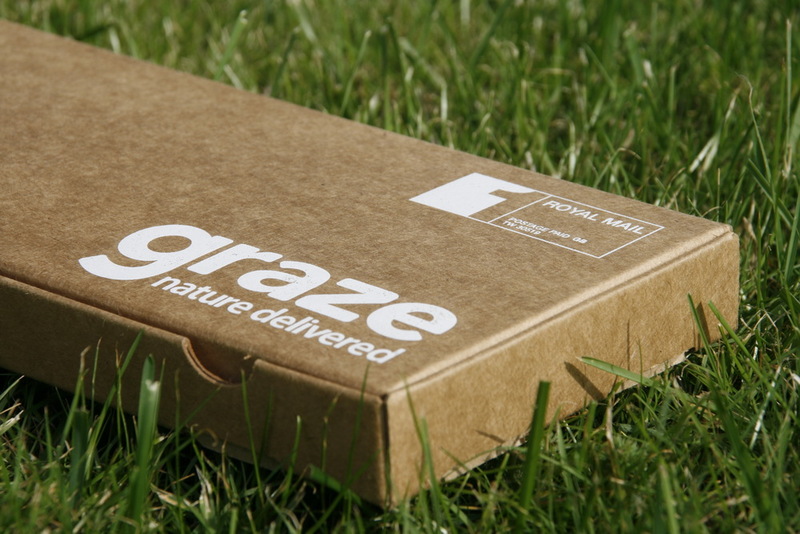 Have you tried the Graze boxes? Now is your chance to try four for £5 including delivery, that's less than a pound each! To order yours from Groupon visit here.